Dr Alfonso Sammassimo graduated from the University of Melbourne with a Bachelor of Dental Science in 1996. Dr Sammassimo immediately commenced private practice in both North Carlton and Greenvale. 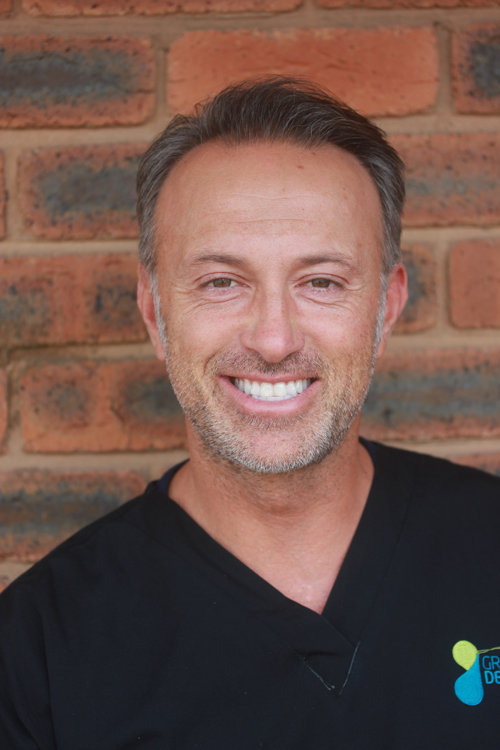 In 2010 he relocated the Greenvale practice to its current location and since has mentored and worked alongside a team of high quality dentists and hygienists in what is now a vibrant multi-practitioner clinic. Dr Sammassimo has a special interest in dental Implantology and completed a mini residency at the highly renowned Malo Clinic in Lisbon in….After establishing substantial experience in Dental Implants he completed a Masters program in Implantology with the gIDE Institute of California Los Angeles. He is now part of the gIDE alumni group under the mentorship of one of the world’s leading implantologists, Dr Sascha Jovanovic. Dr Sammassimo is passionate about providing excellence in complex dentistry, as well as building long term relationships with patients. Outside of dentistry Dr Sammassimo’s passion is tennis. He has represented Australia over the last three years in the ITF World Young Seniors Team Championships held in Turkey, Croatia, and South Africa. 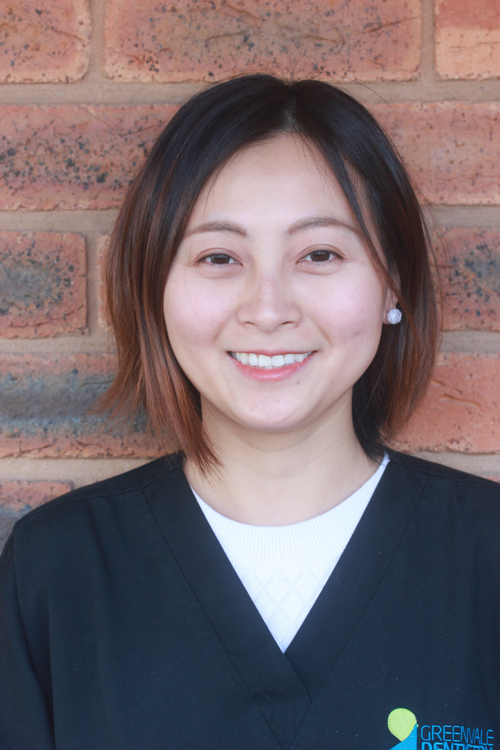 Huong is a general dental practitioner, passionate about the provision of dental care that is ethical, exceptional and yet, effortless for her patients. Huong loves aesthetics dentistry, revelling in the joy that a simple restoration, done with the utmost care and precision can dramatically restore a smile, and subsequently the self perception of said smile-bearer. 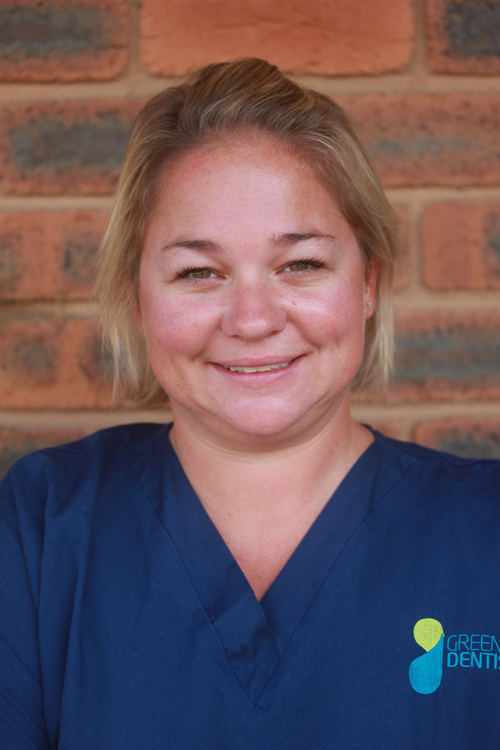 She is also particularly passionate in the battle to alleviate dental anxiety in both paediatric and adult patients. She endeavours to disassociate stereotypes that have instilled fear and anxiety, but rather to build a trusted and comfortable personal experience. 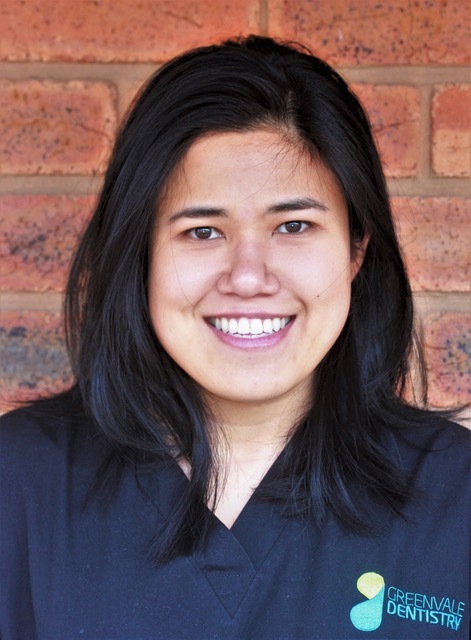 As with all of our team members, Dr Nguyen is ever searching for opportunities to advance her skills, completing further post-graduate education in the fields of orthodontics, relative anaesthesia, aesthetic rehabilitation (nitrous oxide) and cosmetic dentistry. She is an accredited provider of Invisalign (R). 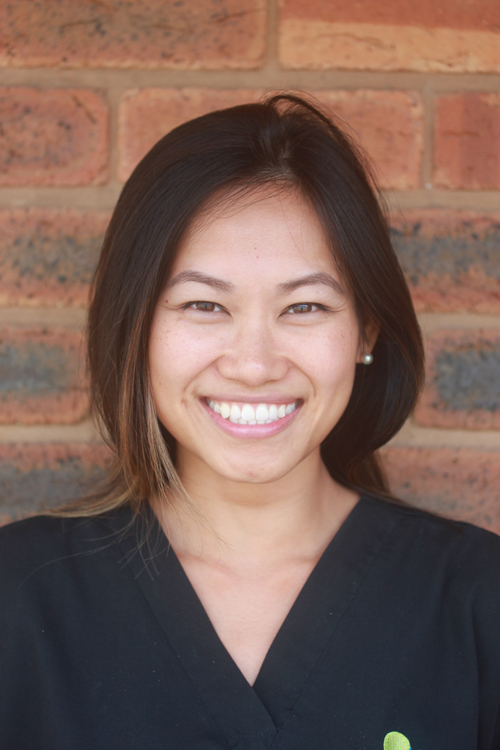 Dr Nguyen graduated from the University of Queensland in 2008 with a Bachelor of Dental Science, and spent 2 years working in rural Queensland before moving to our vibrant Victoria, becoming an associate dentist at Greenvale Dentistry in 2011. 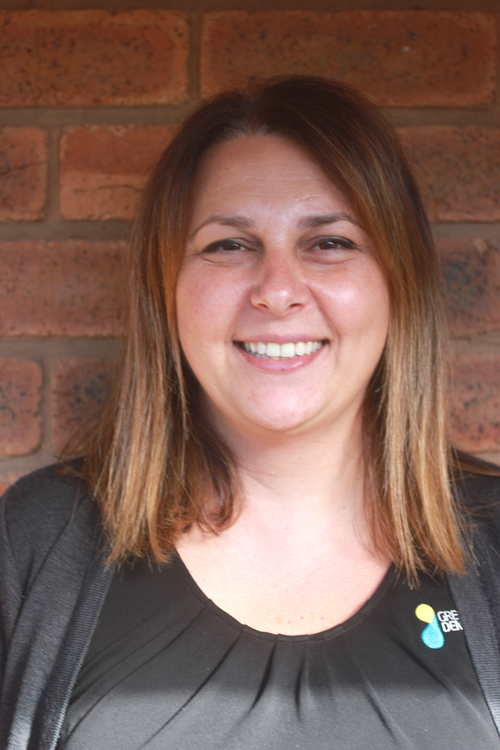 She has been a member of the Australian Dental Association since starting her dental journey in 2004. Her interest includes imprecisely following recipes, talking to her plants, hot yoga, new traveling destinations and trying to learn the local language and when the weather permits, stand up paddle boarding with her miniature dachsund. Tiana completed her Bachelor of Dental Science (BDSc) at the University of Melbourne. 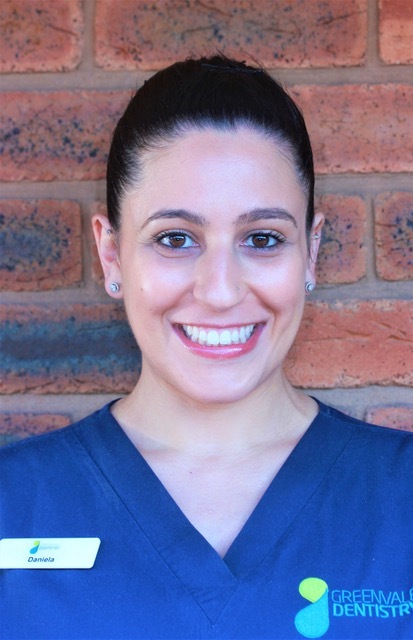 She spent 3 years working in private dental practices in Eastern and Northern Melbourne suburbs, before joining Greenvale Dentistry in 2015. She is proficient in all aspects of dentistry with special interests in cosmetic dentistry, minor oral surgery, and is very particular with her regular clients’ Oral Hygiene Regimen! 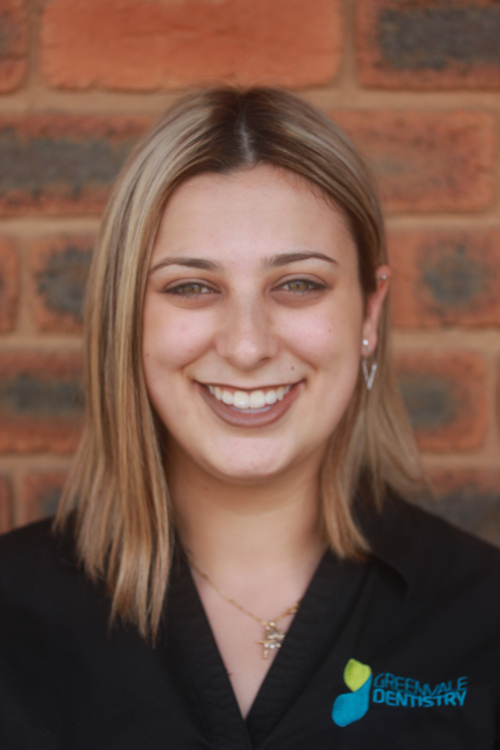 Tiana also has a particular interest in orthodontics, and she is currently enrolled in a 2-year orthodontic course for general practitioners. She keeps up to date with recent continuing professional development (CPD). Her enthusiasm for ongoing education is so great that by the end of her first year out she had already fulfilled her 3-year CPD course requirement. When she isn’t at work, you will probably see her walking her much loved dog Mandy, or at home playing the piano. 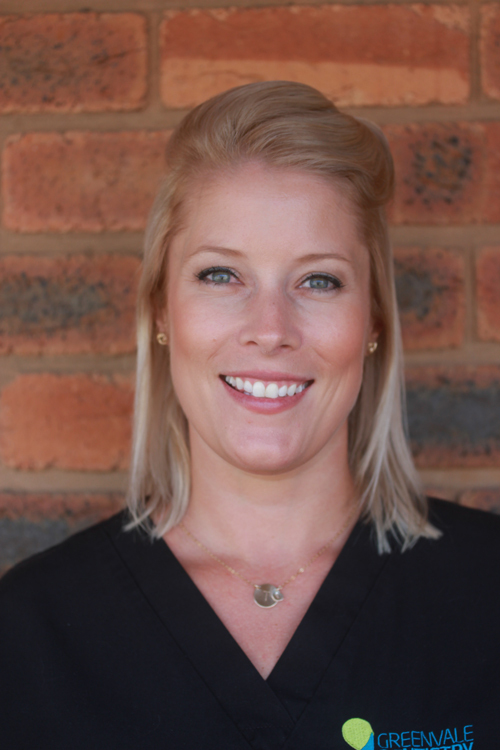 Teagan our resident hygienist, graduated in 2008 with the Advanced Diploma of Oral – Dental Hygiene in 2008. 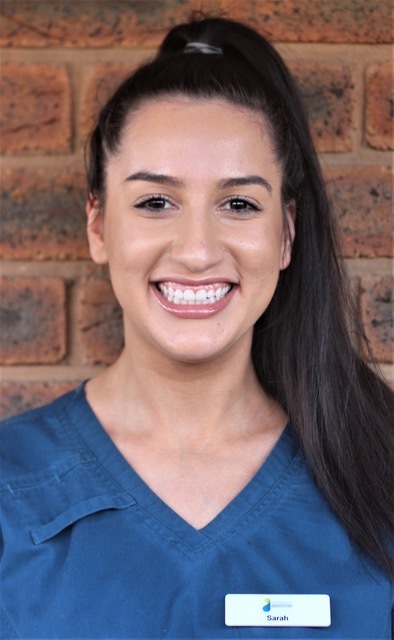 She previously worked at a number of dental practices Collins St Dental Aesthetics, Pascoe Vale Dental Group and Hadfield Dental Group before joining Greenvale Dentistry since 2012. She held Vice Presidency of the Victorian Dental Hygiene Association in 2012, and regularly attends Dental Hygiene of Australia conferences and educational seminars along with continuing professional development courses in particular those conducted by the University of Adelaide in relation to the Australian Research Centre for Population Oral Health. 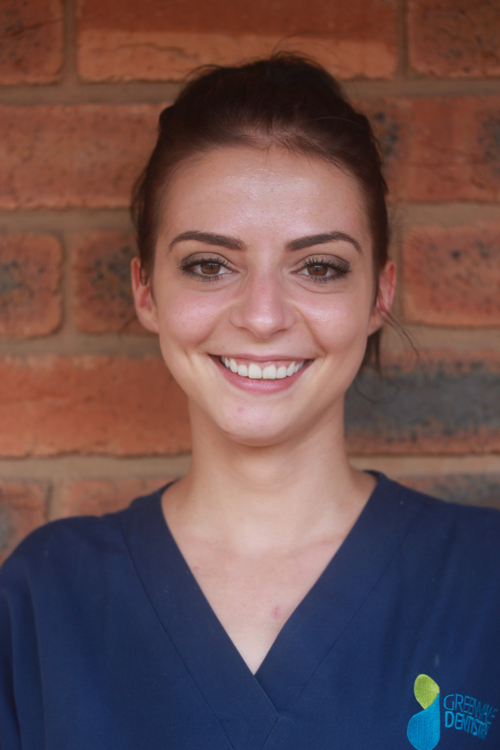 Teagan has a special interest is ‘periodontal regeneration’ and has completed further studies in advanced periodontal instrumentation. Outside of work her main love is her daughter Poppy! She also enjoys pilates, hiking, jazz and blues music. Tint attained her dental degree from the University of Melbourne. Before joining Greenvale Dentistry, Tint was working at Warrnambool Base Hospital and several clinics around the southwest region. 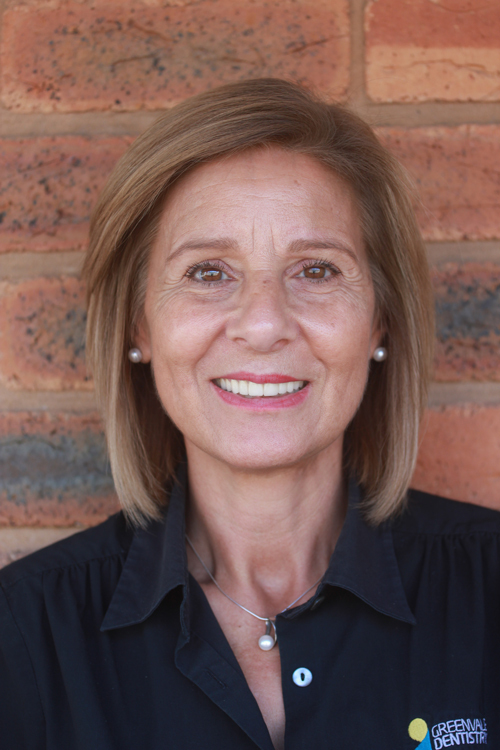 Tint enjoys all aspects of dentistry and has a particular interest in restorative dentistry. Outside of work she enjoys strength training, tanning at the beach, cooking and spending time with her friends and family. 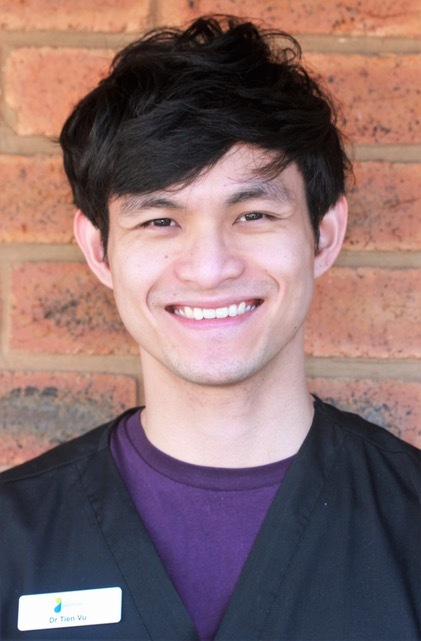 Tien is a positive individual who is focussed on delivering high value service to his patients. He is always aiming to improve his skills and performance to the benefit of his patients. Prior to being a dentist at Greenvale, Tien practiced throughout different areas of regional Victoria where he developed much of his skills and independence. He performs a wide range of general dental treatment including wisdom teeth removal. Tien especially enjoys cosmetic and restorative dentistry. You can be assured that any restorative work will be done to great detail and an excellent standard! In his time off, Tien engages in personal development through reading, exercising at the gym regularly and attending seminars. 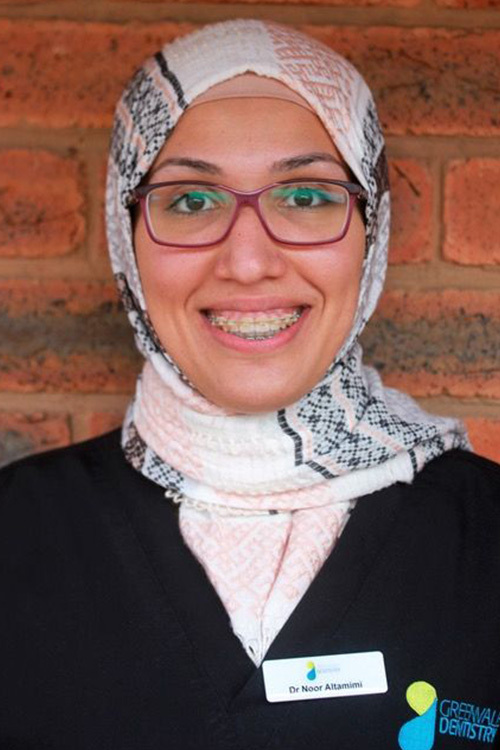 Noor graduated from Latrobe University with a Master in Dentistry. After graduating she began working in the Northern Suburbs, in both the public and private sectors. Dr Altamimi has been working heavily with patients from different cultural backgrounds including those with medically compromised conditions. She is passionate about all fields of dentistry however her main areas of interest are paedodontics and endodontics. She always strives not only to manage her patients’ dental issues but aims to improve and raise awareness about the importance of oral health in our society. Alongside her passion for mastering her skills she continuously attends seminars and courses to build up and extend her experiences. With her enthusiasm for dentistry, comes the urge to share information with others, as she has recently been teaching and supervising dental students. Noor enjoys spending quality time with family, pursuing outdoor activities, as well as reading and listening to classical music. Contact our team to learn more about our services.